Brisbane/Heerbrugg, January 21, 2013 — Today Leica Geosystems has launched Virtual Vista, a web based platform which allows farmers to monitor their fleet and field activities in a simple and effective way. Virtual Vista connects directly through the built-in modem of the Leica mojo3D and customers can access the service within a few steps. No extra software has to be installed nor has additional hardware to be purchased to use the service. 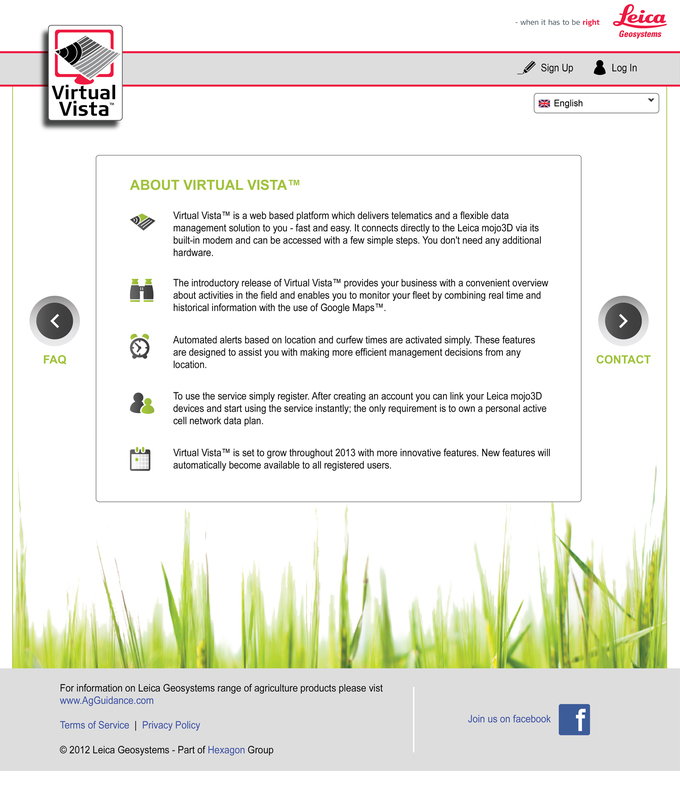 The initial release of Virtual Vista delivers telematics and a flexible data management solution to farmers. The service enables customers to monitor their fleet by combining real time and historical information with the use of Google Maps. Features like geo fencing and curfews allow fleet management and can be easily activated. The intuitive design of the platform and the clear menu structure reflect the simplicity of the platform and ensure an easy understanding for the best possible user experience. Virtual Vista currently supports eight languages; English, French, German, Italian, Portuguese (Brazil), Russian, Spanish and Ukrainian. More features, such as data transfer between Leica mojo3D devices via Virtual Vista, will be released in the near future. Updates will automatically become available to all registered users of the platform. Registration for Virtual Vista is available for all Leica mojo3D users on the website www.virtualvista.com. 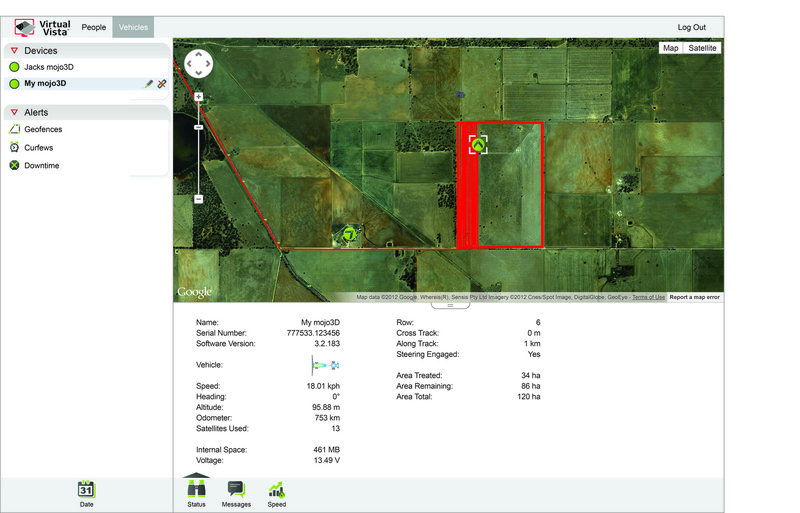 After creating an account, farmers can link their Leica mojo3D devices and start using the service instantly. To use the service customers only require a personal active cell network data plan.